There’s nothing like an eye-catching headline to draw you into reading a news story, right? That’s why I’m providing you with some Headlines from my House. However, no stories are attached, only because I don’t want to incite jealousy as to how absolutely exciting my life as a swinging single gal really is. 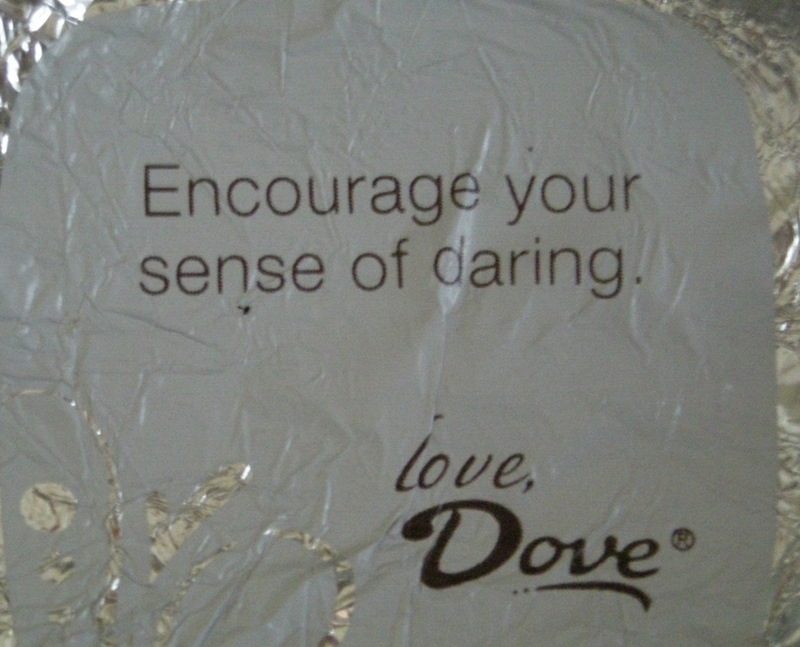 After careful consideration, I’ve decided to only take advice from chocolate—namely Dove Promises. I’m not a big dessert person, but I do enjoy a little piece of chocolate every night—something I consider my chocolate closure on the day. As such, Promises usually wind up in my cart over the other mini treats due to the fact that you also get a little note inside the wrapper. There’s a big difference between being busy and being productive, and I’m trying to remember that it’s called “conserving awesomeness” and not laziness. So often I’m already thinking of the next conversation, the next meal, the next post, etc. that I’m not really “in” the moment. 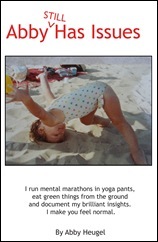 Note to self—human being, not human doing. I’m not that “daring,” so to speak, and I think it stems from an incident when I was little and pumping away on the swing set. “Someone” dared me to jump off and be like Super Grover from the Muppets. I had some good hang time, but landed directly on my tailbone. From that point on I carefully screened all my dares. Unless you’re at a funeral, it’s hard not to smile when you see fresh flowers. I don’t randomly buy myself bouquets, but I spend money on my flowers because I find calm in nature—except for bugs. Especially that one bug that somehow manages to keep circling my head while I’m walking even though I’m flapping my arms around like an idiot to get it away. But other than those laced with neurotic bugs, flowers make me happy. Sometimes people look at me like I’m nuts when I smile at them—and no, it’s not when I’m flapping my arms around my head like an idiot to swat off the bugs—but I don’t care. A smile can make someone’s day. GAH! My laugh? How does “Dove” know what my laugh sounds like? And now that I’m thinking about it, what’s with signing all these notes with “Love” and using an exclamation point? 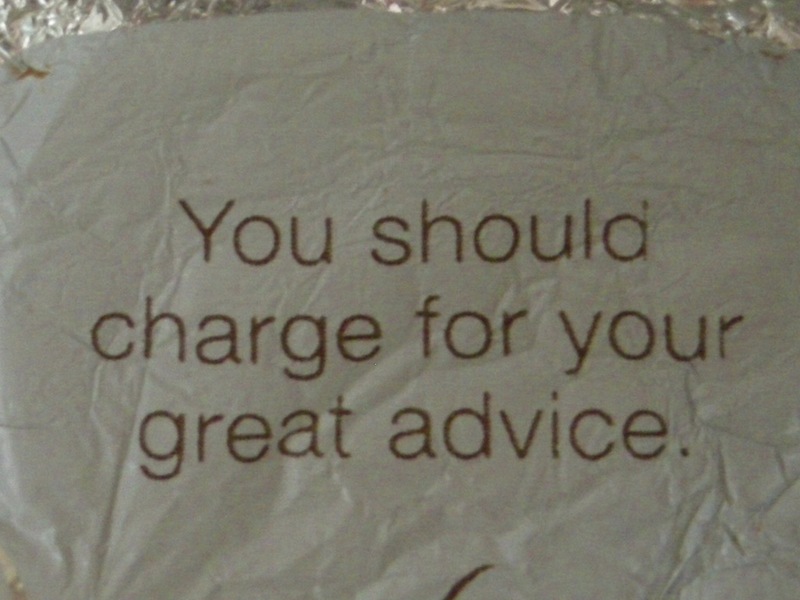 This wrapper is proof that “Dove” is not in fact a sugar-coated stalker, as they’ve obviously never read my blog and the “advice” that I spew. If they had, they wouldn’t make this ridiculous suggestion. Be it chocolate or flowers or simply a laugh, treat yourself today. And per Dove’s suggestion, your bill is in the mail.